Morning Friends! How was your weekend? It's hard to believe it is August 1st today! This is the time of summer when I start to get nervous that the Northeast summer is rapidly coming to an end and I resolve to spend every free (and not so free) moment outside! This weekend was all about being outdoors! A walk through Harvard University is the perfect way to spend a warm summer evening! 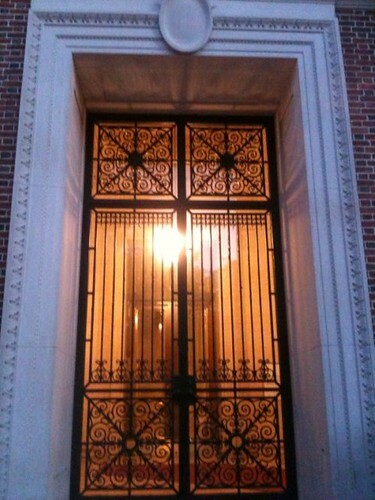 This gorgeous door to the library caught my attention, the ironwork is just incredible! Don't you agree that every Sunday morning should begin like this? 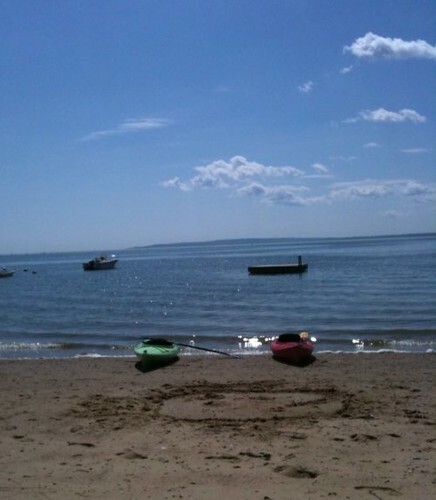 Calm waters, a beautiful blue sky and a warm day can put any overworked designer at ease! Check back later for a sneak peek of a client project I am working on! Enjoy the new (summer) week! It is crazy to believe that it is already August - where is the summer going?! Sound like you had a fabulous and relaxing weekend - and yes, i do wish eery Sunday was like that!